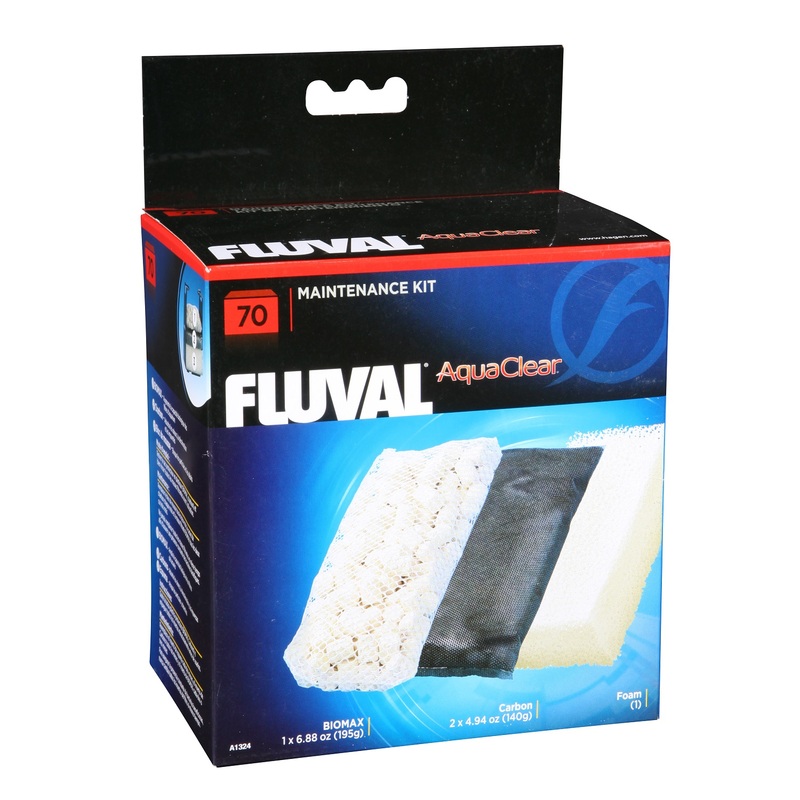 Fluval/AquaClear 70 media maintenance kit contains four of the best filter media inserts available. The kit includes: 1 x Biomax (6.9 oz/195 g), 2 x Activated Carbon (4.9 oz/140 g) and 1 x Foam Filter inserts. This filter media is ideal for aquariums up to 70 US gal (264 L). BioMax Filter Insert provides an optimal environment for the colonization and growth of beneficial bacteria, which is essential for effective biological filtration and water purification. Activated Carbon Filter Insert improves water clarity in fresh and saltwater aquariums and provides superior adsorption qualities which eliminate odors, discoloration and impurities. Foam Filter Insert is a mechanical filter media that effectively removes particles and debris from aquarium water. Also prevents particulate waste from clogging other media in the filter and provides powerful biological filtration as friendly bacteria eventually grow inside its pore structure. Safe for fresh and saltwater aquariums.